For 2013, the Jaguar XK gets standard 20-inch wheels in place of the old 19s. A new, lower-priced Touring trim has 19s and a bit less equipment than the standard XK. There is also a new Portfolio Pack, which upgrades cabin materials and provides access to unique color combinations. 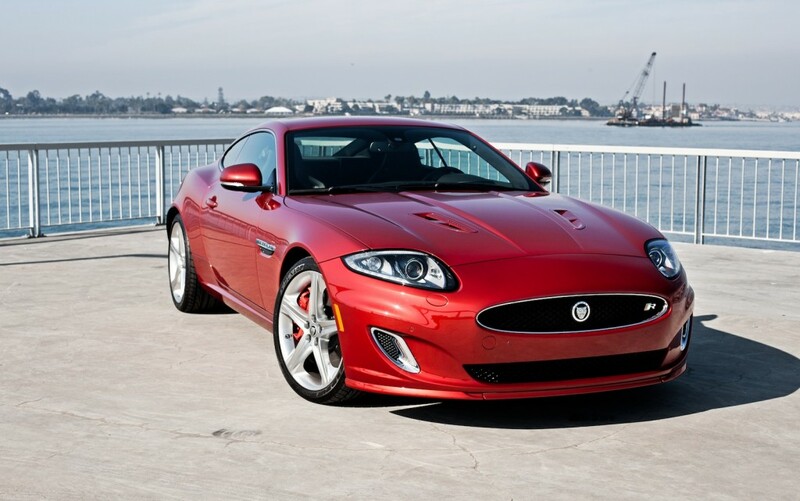 Driving the 2013 Jaguar XK is an event. You're enveloped in a snug cabin with long, narrow windows that evokes the feel of an exotic grand touring machine. The engine ignition button pulses red as if there's a heart beating within. Press it and the silky-smooth V8 engine comes to life while the rotary gear selector rises into your hand. 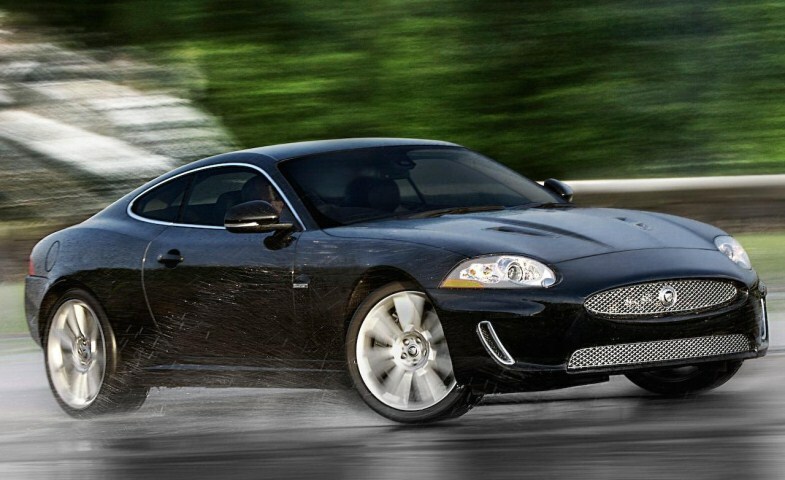 There's not quite the level of theater as you'll find in a Jaguar sedan, but with its soft leather upholstery, copious electronic toys, sharp handling and selection of magnificent engines, there is never a shortage of entertainment on hand in the XK. Another attractive point for the XK is its price. While the XK starts out at about the same amount of money as the 911 and slots in between the turbocharged-6 and turbocharged-8-powered 6 Series, those other cars require multiple extra-cost options to match the Jag's generous list of standard equipment. Meanwhile, the SL-Class costs significantly more to start, although its performance, price and equipment actually line up with the XKR. Finally, when you consider that the XKR-S can better the various Aston Martins in terms of performance, the "value equation" becomes even more compelling. The 2013 Jaguar XK is available in four trim levels: XK Touring, XK, XKR and XKR-S. Each is available as a coupe and convertible. The entry-level XK Touring comes well-equipped with 19-inch wheels, an adjustable suspension, keyless ignition/entry, automatic bi-xenon headlamps, LED running lamps, rear foglamps, power-folding and auto-dimming mirrors, front and rear parking sensors, a rearview camera and automatic wipers. Standard interior features on the Touring include leather upholstery, heated 10-way power front seats, a power-adjustable tilt-and-telescoping steering wheel, driver and front passenger memory functions, and dual-zone automatic climate control. Electronic features include a touchscreen interface, a navigation system, Bluetooth phone connectivity and a premium sound system with a CD player, satellite radio, an auxiliary audio jack and an iPod/USB audio interface. The convertible adds a power-operated roof and tonneau cover. Stepping up to the XK adds 20-inch wheels, upgraded leather upholstery, 16-way power front seats (with adjustable bolsters and lumbar), cooled front seats, a heated steering wheel and a 14-speaker Bowers & Wilkins sound system with a six-CD changer. Optional on the XK is the Advanced Technology package, which includes adaptive headlights and adaptive cruise control with forward collision warning. Also available is the Portfolio Pack, which comes with different wheels, additional chrome exterior accents, a leather headliner and metallic pedal accents. HD radio is also optional. The XKR adds a supercharged engine, different 20-inch wheels, upgraded brakes, upgraded exhaust, adaptive headlights and HD radio. Options include the Portfolio Pack, the Dynamic Pack and the Black Pack. The Dynamic Pack adds different 20-inch wheels, a higher top speed, a lowered ride height, an upgraded and more aggressively tuned suspension and a sport body kit. The Black Pack adds unique 20-inch wheels, a larger rear spoiler and gloss black trim on areas that would normally be bright or chrome. Stand-alone options include an upgraded exhaust and adaptive cruise control with forward collision warning.